It appears to be a horrific, random tragedy. But then, on Tuesday, it happens again, in a different Manhattan skyscraper. And when Wednesday brings yet another high-rise catastrophe, one of the most vertical cities in the world - and the nation's capital of media, finance, and entertainment - is plunged into chaos. Clearly, this is anything but random. This is a cold, calculated bid to terrorize the city. And it's working. Fearing for their lives, thousands of men in women working in offices across the city refuse leave their homes. Commerce has slowed to a trickle. Emergency calls to the top floors of apartment buildings go unanswered. Who is behind this? What do these deadly acts of sabotage have to do with the fingerless body found on the High Line? Two seasoned New York detectives and a straight-shooting journalist must race against time to find the answers . 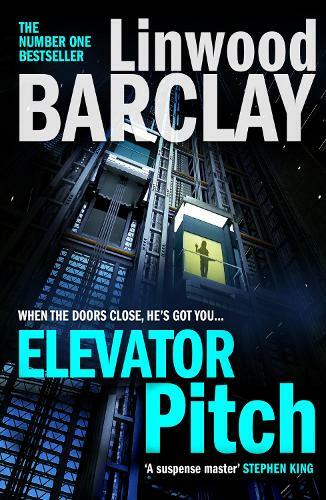 . .
Pulsating with tension, Elevator Pitch is a riveting tale of psychological suspense that is all too plausible . . . and will chill readers to the bone.